Mythic Entertainment has been renamed yet again and will now officially be known as BioWare Mythic. Mythic originally began life in 1995 as Interworld Productions, formed by the joining of Adventures Unlimited Software Inc. and Interesting Systems Inc. In late 1997 the name was changed to Mythic Entertainment and thus it remained until Electronic Arts renamed it to EA Mythic in June 2006. Two years later it was changed back to Mythic Entertainment, but in June 2009 Mythic and BioWare were merged into a single RPG/MMOG under the direction of BioWare co-founder Ray Muzyka. It's probably not a big surprise, then, that Mythic has once again been re-handled as BioWare Mythic. While the new name has never been formally announced, an EA rep told Joystiq that it was "reflective of EA's restructuring of Mythic last June," and in the most recent Warhammer Online Producer's Letter, producer Carrie Gouskos finally put it out to the public. "As you now know, we are working with GOA to transition the European community over to Bioware Mythic," she wrote. "(Like the fancy new name? We're still getting used to it ourselves)." Actually, as much as it pains me to be critical of anything related to BioWare, I really don't like it at all. It's awkward, it's kludgy and it just doesn't roll off the tongue. 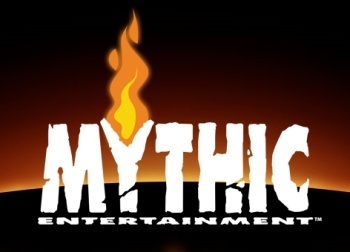 Fortunately, there's still time to take this one back to the drawing board; the Mythic website as well as those of Warhammer Online, Dark Age of Camelot and Ultima Online all still refer to the studio as Mythic Entertainment. So let's hear some suggestions!